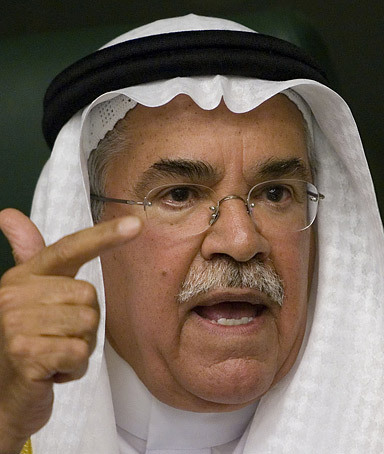 Home The Economy Oil "There's a storm a-comin'…"
That’s the message from Tom O’Donnell, quoting various sources, including Saudi oil minister al-Naimi. The gist: with increased oil production all over the world, with North Dakota becoming the latest oil boom hotspot, with fracking technology making quick progress in extracting oil from rocks, we may be looking at $50-a-barrel prices in the next two years. But, rest easy, the country will not suffer. We have Jesse Chacón at the helm, making all the right decisions.